Enjoy Utah! 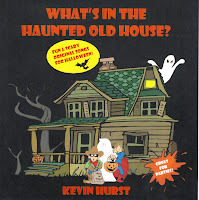 : CONTEST: Win a "What's In The Haunted Old House" CD! CONTEST: Win a "What's In The Haunted Old House" CD! We just attended the "What's In The Haunted Old House" performance at the Kearns Library, and of course had a BLAST! :) It was awesome as always, and the kids loved it! We have a CD to give away! One lucky person will be chosen at random to win the "What's In The Haunted Old House" CD, just in time for Halloween! Because Halloween is THIS Sunday, this contest will only go for a few days. The deadline to enter is Friday by Midnight. The winner will be announced on Saturday. (CLICK HERE to read more about What's In The Haunted Old House).